On Jan. 3, 1966, a 21-year-old activist from Tuskegee, Alabama, Samuel Leamon “Sammy” Younge, Jr. [pictured left] was shot and killed at a gas station for attempting to use a white only restroom. During the period in the southern United States prior to the late 1960s, African Americans were by law denied equal access to public and private accommodations. It was not only until the summer of 1964 that a comprehensive Civil Rights bill was passed aimed at ending the Jim Crow system of strict racial segregation. In August 1965, a Voting Rights Act was signed by President Lyndon B. Johnson in the aftermath of the repression meted out against the people of Alabama, who were merely attempting to enforce previous legislation and the 14th and 15th Amendments of the U.S. Constitution ostensibly guaranteeing due process and the franchise to all who were born and naturalized citizens of the country. The blatant character of the killing of Sammy Younge, Jr. prompted the historic statement of the Student Nonviolent Coordinating Committee (SNCC) against the war in Vietnam issued on January 6, becoming the first major Civil Rights organization to do so. Younge had worked with SNCC and the University-based Tuskegee Institute Advancement League (TIAL), which led many of the campaigns in the state during 1965 aimed at voting rights and independent political organization. After the Selma Campaign of early 1965, an area where SNCC had worked since 1962, organizers spread out to neighboring Lowndes County where the first Black Panther organization was formed by the soon-to-be SNCC Chairman Stokely Carmichael (after 1979 known as Kwame Ture) and his comrades, working in close collaboration with local activists in the area. Younge, whose parents were professional African Americans connected with Tuskegee Institute and the segregated public school system, saw SNCC and TIAL as avenues of expression designed to win full equality and self-determination for the African American people. After returning from the U.S. Navy, Younge enrolled in Tuskegee Institute and joined both SNCC and TIAL. He participated in the Selma-to-Montgomery March held during March 21-26, 1965. Both organizations were engaged in voter registration efforts as well as challenging segregated facilities which proliferated even after the passage of the Civil Rights and Voting Rights Acts of 1964-65. Younge’s racist murder at a Standard Oil Gas Station run by its elderly white night attendant, Marvin Segrest, came as he was working as a volunteer in a voter registration campaign in Macon County. The murder led to a variety of protests. Younge’s death served as a symbol of why people had to intensify the struggle to expose the false notions of fighting for freedoms abroad that were routinely denied in the U.S.
Student protests erupted in Tuskegee when white county officials initially declined to indict Segrest and even later after the all-white jury, in a majority African American county, deliberated only one hour and ten minutes delivering a verdict of not-guilty for Segrest in his December 1966 show trial. SNCC was in the process of transitioning its program to Black Power and revolutionary nationalism in 1965-66 and its views on the war drew widespread attacks on its activists across the South. The statement issued by the organization drew the ire of the administration of the-then President Lyndon B. Johnson along with the Federal Bureau of Investigation (FBI) and a wide spectrum of politicians in both the Democratic and Republican parties. 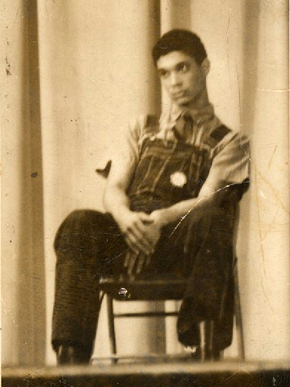 SNCC activist Julian Bond was elected to the Georgia state legislature in late 1965 and was slated to take office in early 1966. He was denied his seat for two years because he refused to distance himself from the SNCC position on the war. SNCC called for not only the end of the U.S. war against Vietnam but the abolition of the draft. Their stance sent shock waves through the ruling class particularly with the dozens of urban rebellions which erupted during the spring and summer of 1966. In June 1966 during the “March Against Fear” through the state of Mississippi, the slogan Black Power was advanced by SNCC field secretary Willie Ricks (now known as Mukasa Dada) and Carmichael who was elected chairman of SNCC just the month before. Dr. Martin Luther King, Jr., the leader and co-founder of the Southern Christian Leadership Conference (SCLC), left the emerging Chicago Freedom Movement to march alongside SNCC, Floyd McKissick, the-then executive secretary of the Congress on Racial Equality (CORE), which had also adopted the Black Power slogan, in solidarity with the youth and farmers of Mississippi to the capital of the state in Jackson. SCLC had not taken a formal position against the war even after the statement issued by SNCC in early January. Nonetheless, King later admitted in March and April of 1967 that he was no longer prepared to refrain from speaking against what the Johnson administration was doing to the people of Vietnam and its relationship to the failure of Washington to adequately address poverty and racism in the U.S.
On March 25, 1967 in Chicago, King and other anti-war activists including Dr. Benjamin Spock, the noted pediatrician and author, led a demonstration of hundreds of thousands of people calling for a comprehensive halt to hostilities against North Vietnam and the revolutionaries fighting for the national liberation of the south of the country. Just ten days later, the SCLC leader would deliver his historic speech labelled “Why I Oppose the War in Vietnam” at Riverside Church in New York City. A cacophony of condemnation poured in against King’s views on Vietnam. On April 15 he would participate in another march from Central Park to the United Nations in New York condemning the bombing of Hanoi and the need to withdraw U.S. forces from the country. Just one year later King was assassinated in Memphis, Tennessee on April 4, 1968 while he was assisting an African American sanitation workers’ strike seeking recognition as a labor organization under AFSCME. His combined efforts in the areas of Civil Rights, opposition to U.S. militarism and imperialism as well as the demand for the elimination of poverty sealed his fate with the ruling class. Author’s note: For more detailed information on the life and times of Sammy Younge, Jr. see the book “Sammy Younge, Jr.: The First Black College Student to Die in the Black Liberation Movement”, by James Foreman, 1968.